Have you broken down by the side of the road in a unresponsive car? Do you need a specialist towing company to transport your sports car to the track? Perhaps you need to take heavy machinery from one warehouse in Bibra Lake to another at the other side of town. Regardless of why you need a tow truck in Bibra Lake, you can count on us to cater to your requirements. 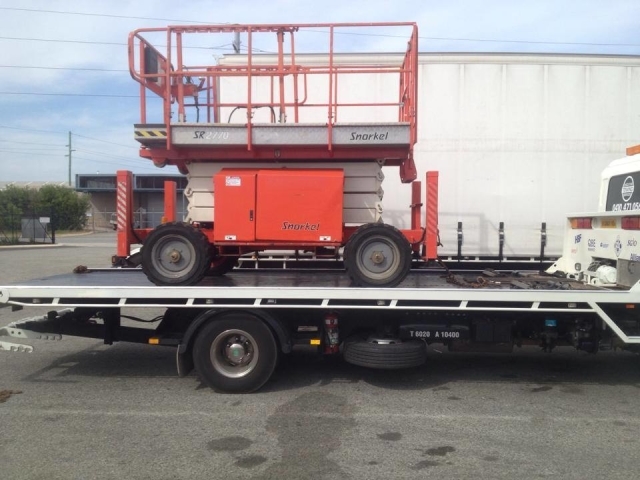 At Executive Towing Services, we’ve grown to be the go-to towing service in Bibra Lake and beyond thanks to our commitment to being prompt, professional and high value. We have a team of long-standing professionals that make the safety of your vehicle their primary concern, so contact us whenever you need to speak with transportation experts you can trust. While we’ve become a household name for our towing services, we also provide roadside assistance and machinery transportation in the Bibra Lake area. We endeavour to assist in any way possible at the scene of a breakdown before towing them away, which is just one reason why you can trust that we want to find the best solution to your problem. If you require something more specialised than a standard tow truck to keep your sports car in pristine condition, we’re more than happy to dispatch a modern tilt tray truck that will exceed your expectations. From roadside assistance to car towing and machinery transportation, we offer it all at Executive Towing Services. We understand that nobody wants to be left stranded by the roadside in Bibra Lake for hours when their vehicle won’t start, which is why our professionals aim to reach you as fast as possible. Plus, because most of our employees have remained with us for years and know the ins and outs of the industry, we won’t be beaten regarding efficiency. You can expect to be treated with the utmost respect by our team during your time of need, and we’re happy to recommend local workshops and mechanics if you have little knowledge of the area. Alternatively, if you require our vehicle transportation services for non-emergencies we can book your requirements in advance, you can trust our professionals to take care of your car or machine as if it were their own. We believe that when you’re in the midst of an emergency, the last thing you need is to be extorted by the companies you rely on to lend a helping hand, which is why we aim to be the most cost-effective towing service in the area. When you need an affordable and reliable company for towing in Bibra Lake, there’s no better company to call than us. Don’t let your breakdown or accident cause any more hassle than necessary – contact our professionals on 0410 471 056 when you need a first-class towing service in Bibra Lake, and we’ll be happy to assist.